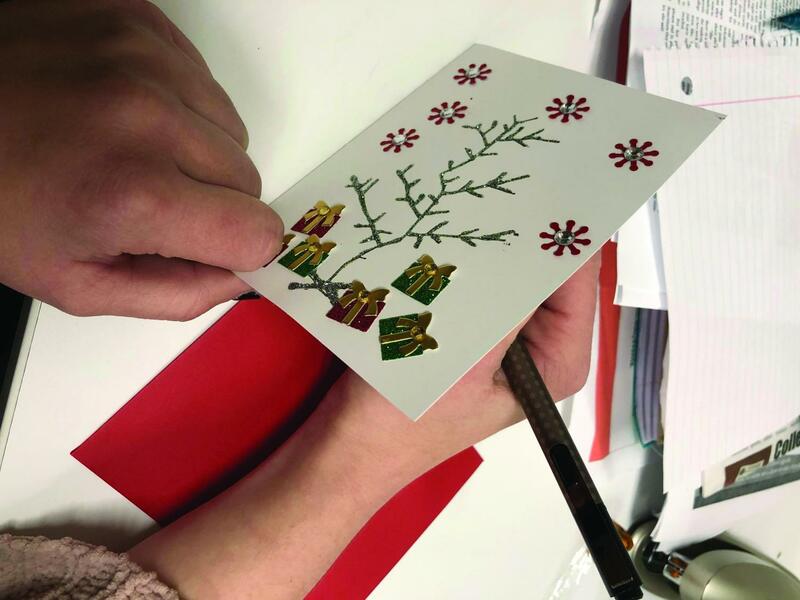 Making cards is a low-cost and easy gift idea. For AACC students on a tight budget, a low-cost, meaningful gift can be even better than an expensive present. As much as we wish it did, school doesn’t stop to give us time to get ready for the holidays. Students must scramble to find the perfect gift with one hand, while using the other to tie a bow around the heaps of assignments they have due at the end of the semester. Most of us don’t have the money to put together expensive gifts, so we take to Pinterest, only to find that the crafts the site suggests require too many materials and steps. Luckily, a lot of gifts don’t require any spending at all. This holiday season, think about the non-material gifts you can give to friends and family. New clothes and gift cards are nice, but they don’t mean as much as quality time. The holidays are all about showing the people you love that you care about them, and the money you spend on loved ones doesn’t always match how much you value them. So this year, instead of trying to decide how much to spend on someone you care about, think about the special things you could do together to make memories that will outlive any new scarf or pair of gloves. For example: Invite a friend out for coffee before class, or to a movie afterward. Or, you could invite your youngest sibling to plan the itinerary for a day that the two of you will spend together. Give your parents a hug and tell them what you appreciate most about them, or offer to do the dishes while they relax. But friends and family aren’t the only people who deserve gifts on the holidays. Tell your professors and coaches what you’ve learned from them this year, and share your future plans. Expensive gifts will only give you—and the people you give them to—temporary happiness, but the look on someone’s face who is reminded of how much you care is priceless. Giving back to others is a two-way street. It spreads positivity to both the giver and the receiver. The gifts you’ll remember most are the ones that come from the heart, not a wallet.